Twitter users will now have better ways to look for informational tweets. This has been made possible with Downtweet’s twitter search function. Downtweet can also be installed in blogs to increase their potential. Twitter tweets are the new means of information delivery today. This is true for users who had been exposed to Twitter for such a long time. 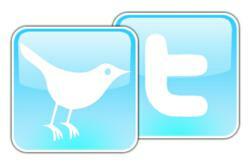 Twitter has become a mainstream social networking site for everyone. Downtweet, a new and advanced Twitter search engine, expands that purpose. For many people, Downtweet is considered as an extension of Twitter—a rightful embellishment to one of the most famous social networking sites ever. Tweets are like simple announcements made by an individual. These short announcements take place online and many people keep on doing them frequently. It is evident that most of these tweets are just simple expressions, opinions, and plain daily activities. However, some tweets are informational and can be great topics for any discussions. Twitter is so massive that some tweets may get lost in the entire flurry. This is where Downtweet steps in. Downtweet is a Twitter widget meant to discover tweets that may be helpful for certain individuals. Twitter users are divided into several categories, and passive users take a large portion. Passive Twitter users do not use Twitter on a frequent basis. They don’t tweet many times per day, or they don’t tweet at all. Some of them joined Twitter out of peer pressure and social experimentation. Downtweet caters to these users, granting them the opportunity to search for the best tweets of their choices. In Downtweet, tweets are divided according to categories. Streams of the tweets are always updated, prior to the category being searched. This makes Twitter search more fun and organized. The best categories in Downtweet are business, comedy, food, gossip, sports, and tweets related to some famous celebrities. The tweets are also clickable so users can discover the sources and continue to learn more. Downtweet can also be embedded to any blog and according to some bloggers it has more potential compared to other Twitter applications out there. Based on Downtweet’s uphill visibility climb, users expect to have more developments in the coming months. Downtweet.com has developed live Twitter software for any website or blog. Any site can add a Downtweet widget in a matter of seconds. Downtweet.com also acts as a Twitter portal for users to get instant Twitter streams. Downtweet widget users have the ability to customize the look of feel of Downtweet to fit the style of their website or blog. Downtweet is a free service.